Kong Country. If you ever had the nagging suspicion that there was one more pure platformer gem out there for the Super Nintendo -- well, there wasn’t. However, there was one for the Super Famicom. It not only matches Super Mario World’s excellence, it does so without copying its style and mechanics. I started off this season of It Came from Japan! with what I considered the best possible line-up I could have compiled. And yet, I haven’t found much to love which makes discovering DoReMi Fantasy that much sweeter. It’s true that I raved about Magical Pop’n and Tetris Battle Gaiden, but I already was familiar with those titles. Though I often read about DoReMi on import sites, this was my first time playing it and I won’t soon forget its name. 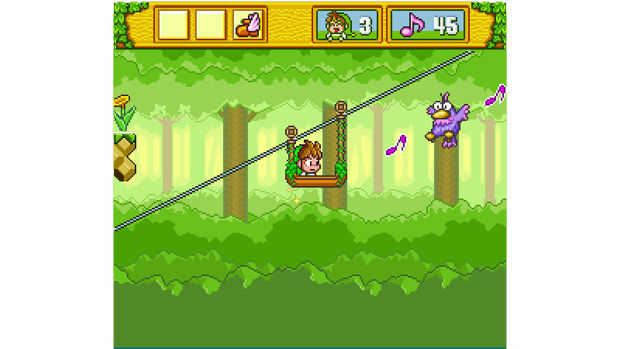 As I traversed DoReMi’s seven worlds and barely beat its increasingly difficult bosses, I kept wondering why we don’t see contemporary indie developers make platformers of this style and quality. I think this because DoReMi is a progressively designed game that wouldn’t feel out of place on any download service. 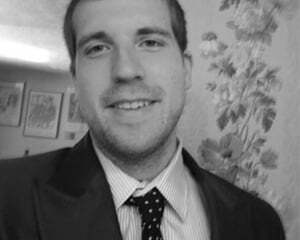 Its lush ambient soundtrack is unlike the giddy music of other platformers, for instance. It also features a very generous amount of mechanics, with each new world building upon what was introduced in the last. You just didn’t see the sort of things in the ‘90s, though it’s commonplace now (if not expected). 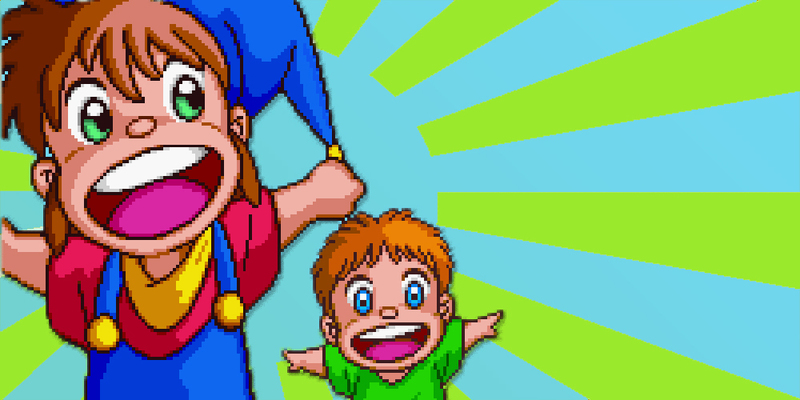 The large, colorful sprites, variety of art assets, and constant twisting of established mechanics is what sets DoReMi a notch above both its 16-bit brethren and contemporary platformers. Oh yeah, and the most important aspect of all: fluidity of control. Milon stops on a dime, jumps as you expect, and controls like a dream when you acquire the boots item that let you rapidly press the jump button to gracefully glide. I almost wish the controls weren’t so good in the first world because the game was too easy at first. Once I got to the grueling levels of the third world, I was extra appreciative of the smooth controls. DoReMi isn’t all about jumping, however. You’ll do a lot of shooting as well. In fact, jumping on enemies only temporarily stuns them. Instead, you’ll need to hit them with a bubble and then jump into them. Once Milon collides with the bubble, it will go floating upward and take down any other enemies it touches. Exploring levels will unveil improvements to the bubble’s range, costumes that add health, and bubblegum that will save Milon from falling into a pit. Make no mistake, however: This is a very simple game, even when Milon learns to surf and summon ladders at will. Locking players out of content until enough collectibles are acquired is a pet peeve of mine. This often feels like lazy design which can ruin games, best exemplified in Donkey Kong Country 64. DoReMi, along with Super Mario 64, proves to be an exception. Each world contains five stars hidden in the levels, which would drive me nuts if the levels weren’t so well designed. Each level is brief, unique, and fun to explore. Thankfully, you can even quit out once you acquire a star, so you don’t have to play the whole thing again (assuming you didn’t find it on the first go-around). Each world has its own enemies, obstacles, and look that keep the game fresh during its entirety. DoReMi has the expected forest, ice, and fire worlds, but it also has some more creative ones like a candy world and toy world. The detail put into these levels really makes the concept of each world come to life. I kind of wish the entire game took place in candy world, since it’s gorgeous starry sky and delicious-looking treats paired so well with the calming soundtrack. And it made me hungry. DoReMi features some of the best graphics on the system, even if it doesn’t concede to the CG and Mode-7 gimmicks of the time. 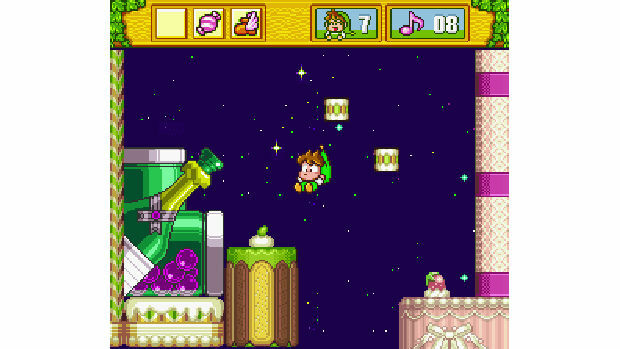 Hudson had a knack for making big, beautiful sprites and DoReMi may be its crown jewel. Even with the stellar visuals, it’s always the mechanics and smart level design that steal the show. The woods contain gusts of wind that slow your movement, the candy world features champagne bottles that blast you across the screen, and the ice world has blocks that won’t appear until you hit them with a bubble, making for some tricky platforming. Some worlds contain more elaborate elements, like the Concert Hall world that contains fake exits, demanding environmental awareness from the player. I’m not the biggest fan of 2D platformers because I don’t think there are many good ones. If I played DoReMi upon release, I may have saw things differently. Since I only just beat the game, it feels premature to rank it above or below Donkey Kong Country and Super Mario World. But, I feel confident in saying DoReMi forms a trifecta with those two titles -- sorry, never was a Kirby guy. Maybe it’s at this point that I should mention that DoReMi is a sort-of sequel to Milon’s Secret Castle on the Nintendo. I feel like I’m doing DoReMi a disservice by even mentioning that mediocre title. DoReMi barely feels like a sequel, featuring only a couple elements of the original. DoReMi is confident and whimsical in a way that the original wasn’t. It even features genuinely funny dialog and a bizarre Bomberman cameo that is sure to make Hudson fans smile. DoReMi is the full package. It would be among the very best platformers on any system, including current ones. When the game finally came to international audiences with its Wii Virtual Console release in 2008, it could have been easily mistaken for a current release. Except, you’d be hard-pressed to find one with the character and quality of this lost gem from Hudson. What are your favorite 2D platformers? Have you enjoyed the selection of games this season of ICFJ? Who the hell pays $300 for a SFC game, I mean really?